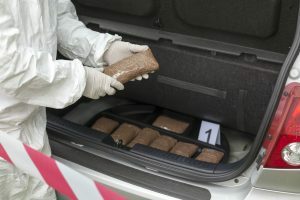 This post concludes and recaps our series on the handling of Little Rock, Arkansas criminal cases involving the possession or distribution of heroin. This is an important topic as the number of opioid-related arrests in the U.S. is on the rise. It is understandable that many people may be unsure of what steps they should take after they have been arrested. The goal of our last several articles has been to provide information which will help people to better understand their situation and to assist them in making an informed choice when selecting a criminal defense attorney. If you or a loved one have been arrested then contact our office today to speak with a lawyer. There are several reasons why defendants must understand these topics. First, it is important to understand that opioid-related offenses are seen in a different light than cases involving “lighter” drugs such as marijuana. Prosecutors, therefore, take such matters very seriously. Second, it is more often than one may realize that police violate someone’s rights during an arrest. Such a violation can lead to the dismissal of charges. Third, it is often possible to resolve cases through negotiations and, in many instances, it may be more advantageous for the accused to do so. Finally, those charged with trafficking are facing substantial prison time and need to understand the gravity of the situation. One point we have stressed throughout each of these articles is that it is crucial that you speak with an attorney as soon as possible. Being convicted of an offense will result in a permanent criminal record, difficulty in finding employment, and problems with passing a background check. These consequences are in addition to potential jail time, fines, etc. Our Little Rock lawyers defend those facing such charges. Contact us today to schedule an initial consultation. We also handle matters in Fayetteville, Fort Smith, Springdale, Jonesboro, North Little Rock, Conway, Rogers, Pine Bluff and throughout the rest of the state.